JAX-RS is API specification for RESTful web services using Java. RESTful web services is implementation of REST (Representational State Transfer) which is architectural design for distributed system or in general we can say JAX-RS is a set of APIs to develop REST service. This is a brief introduction about REST and JAX-RS. You can find more information on REST on Wiki and JAX-RS Official Site. As JAX-RS is only a specification, we need to use it's implemented library to create RESTful web service. Apache CXF, an open source Web service framework. Jersey, the reference implementation from Sun (now Oracle). Apache Wink, Apache Software Foundation Incubator project, the server module implements JAX-RS. 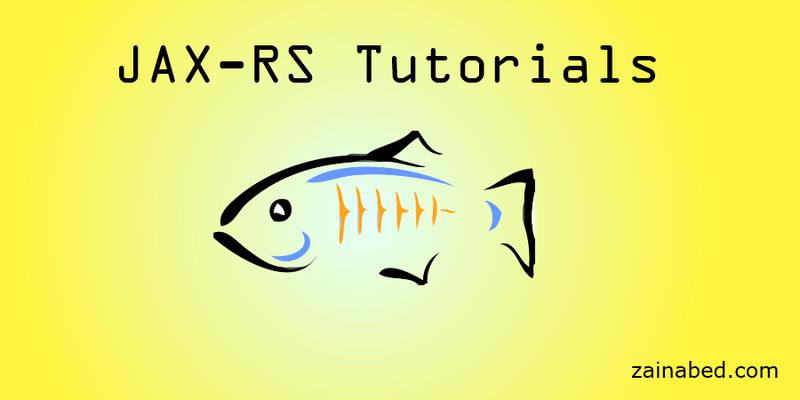 For this JAX-RS tutorials set we will use Jersey library and Maven for dependency management. Following are some start-up JAX-RS examples. simple JAX-RS tutorial, which sends “Hello World” text as response string using JAX-RS API and Jersey implementation.